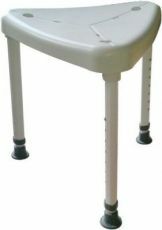 Foldable WC stool in steel structure. 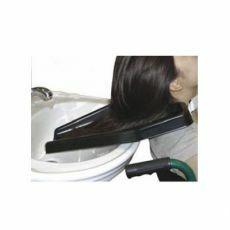 With removable pail with covering. 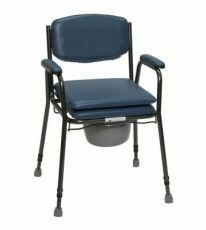 With removable pail with handle, covering and filled seat and seatback. 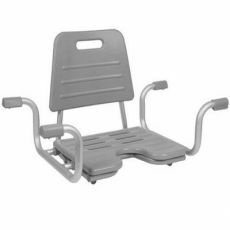 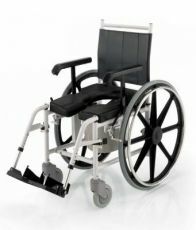 Seat with removable covering, weight capacity 130 Kg. 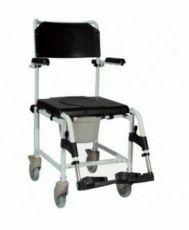 Seat with washable covering and brakes, weight capacity 80 Kg.  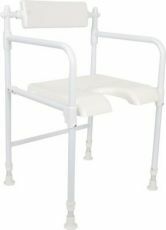 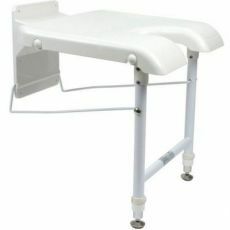 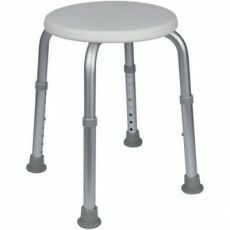 Shower stool, white, with grey Polyuretane seat, seatwidth: 42, 47, 52 cm. 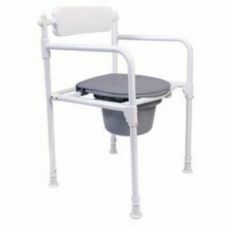 It allows bed-ridden, elderly or disabled patients to be washed and cared for in their personal hygiene with running water directly on their bed, without any need for transfer/lift. 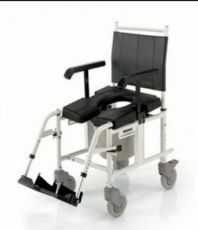 This seat is made with a white aluminium frame, white plastic seat, and tilting white plastic back. 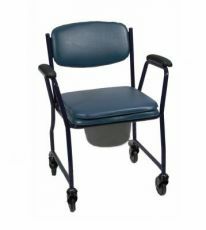 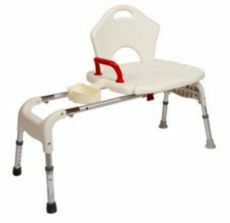 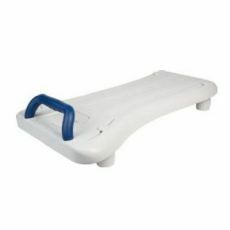 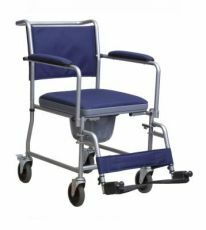 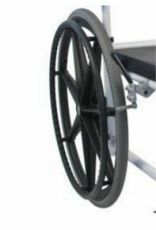 With filled removable seatback and removable footrest, capacity 110 Kg. 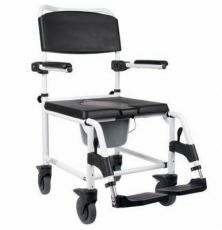 This seat is made with a white aluminium frame and tilting white plastic back. 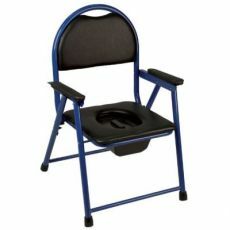 It comes along with a WC bucket with handle and lid. 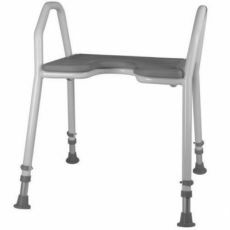 Rotating aluminium bath-tub chair with grey varnished aluminium frame, seat and back made in smooth grey PUR. 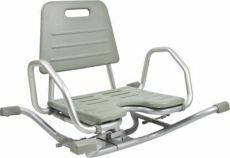 Seat and back are removable. 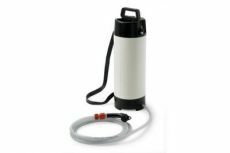 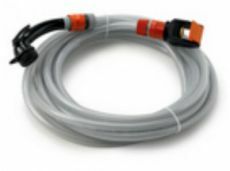 Pressurized water tank complete with flexible hose and shower head operated bu button. 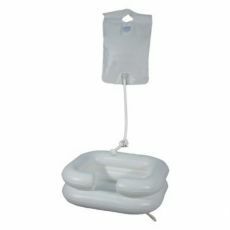 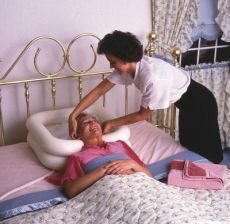 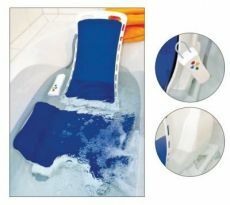 Using the half-sheet method (place tub under patient and inflate around him), the inflatable bathtub allows clients to enjoy a bath or shower without leaving their bed. 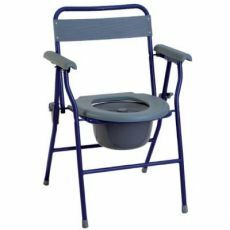 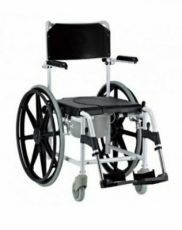 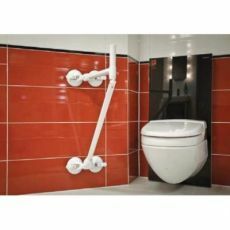 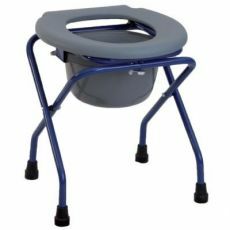 Commode and shower chair with 4 lockable wheels.